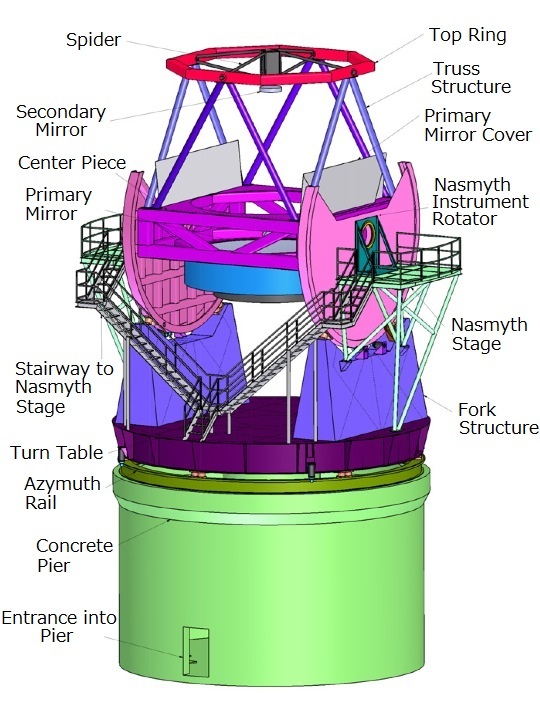 To carry out efficient observations at its high altitude of 5640m, the 6.5m telescope is designed (1) to be optimized for infrared observations, which make best use of the low water vapor in the atmosphere, (2) to be operated remotely from the base facility to avoid harsh environmental effects on the human body, and (3) to have high cost-performance. 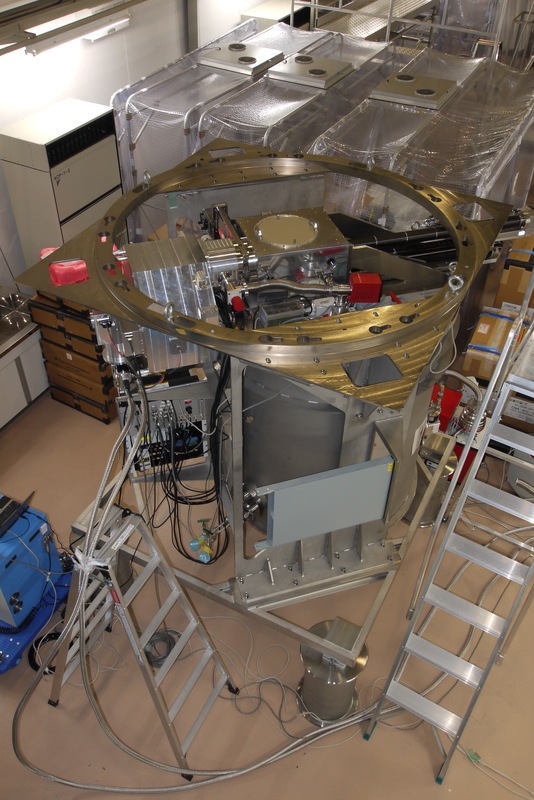 The telescope has 3 foci to which infrared instruments are installed. The telescope, as well as the instruments, incorporates cutting-edge technologies to realize observations with the best performance. The primary mirror is a light-weight honeycomb mirror, made of borosilicate glass (BSC glass by Ohara, Inc.), developed by Steward Observatory Mirror Lab at the University of Arizona. The mirror, having enough thickness (71cm at the outer edge and 39cm at the inner edge) to sustain its shape, incorporates a honeycomb structure to reduce its weight. The very fast F-ratio of the mirror (F/1.25) contributes to making the the telescope and the dome compact. 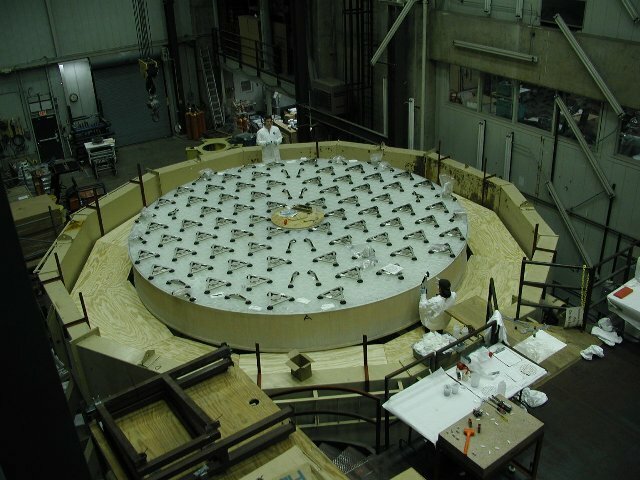 To realize such a fast shape, the mirror is cast on the rotating table (spin-cast). To achieve the best performance, the secondary mirror, which is used for all foci, is optimized for infrared observations. As a result, exchanging the secondary mirror becomes unnecessary and its impact on operations is reduced. In addition, the latest technology in high-speed actuators will be used to modify the shape of the deformable secondary mirror surface. This function, together with the adaptive optics system, will correct atmospheric turbulence and provide sharp image quality. 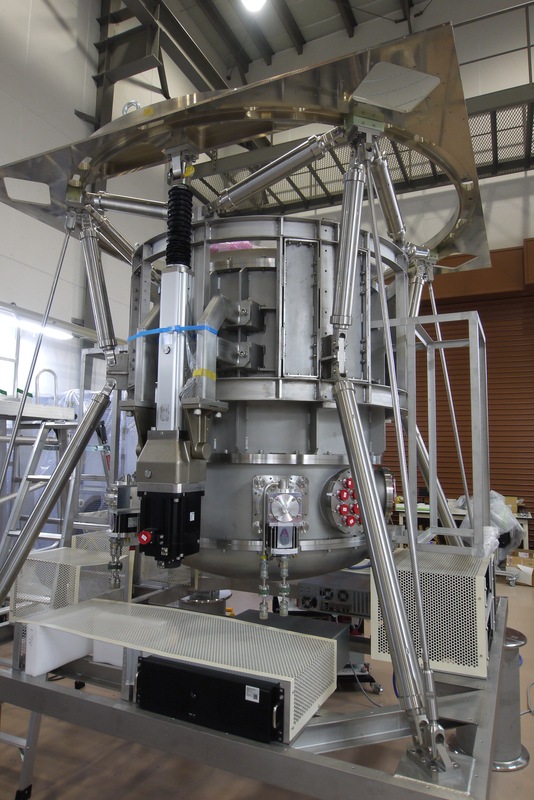 MIMIZUKU at the laboratory of Institute of Astronomy, University of Tokyo in June 2012. SWIMS set up at the laboratory of Institute of Astronomy, University of Tokyo in June 2012.